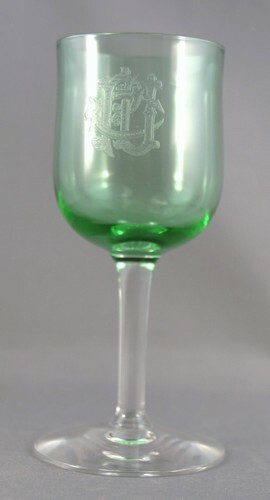 Crystal wine glass, green bowl with monogram. Clear stem and foot. The monogram is overlapping letters and difficult to read. It may be "CPU". It measures about 5 1/4 inches high by 2 1/8 inches across top.